Folks why is the minister of education so uneducated? These league tables National have been trying to smuggle in under the national standards regime have been sold to NZ as having the support of parents yet an official report released in the weekend shows that 38% of parents made negative comments about National’s plans and only 14% made positive comments. Yet Education Minister Anne Tolley’s press release on the report read, ‘Patents support National Standards’ – no they didn’t only 14% did, 38% were negative. 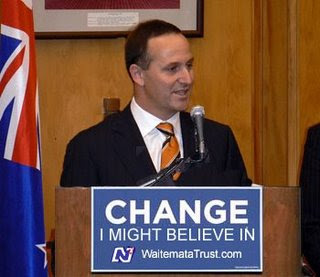 National are pretending there is support for their national standards because their secret motive for league tables to create false competition is an education reform they know they can’t be upfront about. I give Anne a D- on this one. Must try harder. Chopper Tolley has no idea what she has let herself in for. She is following the Bill English line - silly girl! National Standards will have the opposite effect to that intended. Narrowing the learning areas, making everyone do exactly the same thing, demotivating and working against new curriculum. Burn!